Environmental Health provides site evaluation and permits for on-site sewage disposal (septic systems) and wells. The department also provides inspection of restaurants, schools, day care centers, camps and festival events to ensure food safety. Food workers permits are issued by the department upon demonstration of knowledge necessary to prepare and handle food safely. Other services include rabies control and information regarding environmental issues. For more about available services, fees, or other information, please call your local health department. Food Safety Training is available online for food handlers and food managers at State Food Safety. Please call your local health department if you have questions. If you think something you ate is making you feel sick, contact your doctor first and then contact your local health department by completing an online MyMealDetective report as completely as possible. 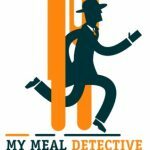 While you can also contact your local health department by phone, the online My Meal Detective reporting system is accessible anytime and allows you to describe your illness immediately to capture as much information as possible. The health department will examine your report and investigate if needed.